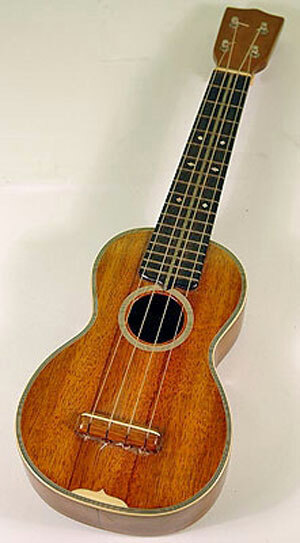 Recently I bought a ukulele, and began attending beginners’ classes with the Melbourne Ukulele Kollective (and yes, that is Kollective with a K.) They hold beginner’s classes, free, once a week at a hotel in inner suburban Melbourne. At first it was hard to get from one chord to another, I struggled to keep up with other people. I still do on new songs. But I’m getting faster and a bit smoother at moving from one chord to another. After attending for about three months, I decided this was something I could stick to, so I bought a more expensive Uke: an eight-string tenor. After six months of attending the group, I decided to do my first performance at the ‘open mike’ night they hold in a bar in Northcote. I practiced Van Morrison’s ‘Brown Eyed Girl.’ I practiced singing the melody into an electronic tuner, which tells you whether you are on-key, flat or sharp. In rehearsals at home, I was on pitch about fifty percent of the time. I figured for a first time effort, that was Okay, so last week I fronted up, performed and got all the chords right. It went well. I felt pleased. There is a simple pleasure in being able to play something well enough to draw a reasonable amount of applause from an audience. For next month’s open mike, I’m tossing up between the Beatles’ ‘Let It Be’ and Sting’s ‘Fields of Gold.” Would any of my friends care to suggest which is a better song? I’m all ears.